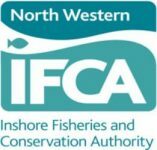 As part of the development of Byelaw 3 Cockle and Mussel Hand Fishing Permit 2019, NWIFCA are conducting further informal consultation with all stakeholders on the management measures included in the new byelaw. This represents all stakeholders’ opportunity to have input into the proposed management measures. The comments will be anonymised and reported to the Technical Science and Byelaws Sub-Committee (TSB) on Tuesday 14 May 2019. Please send comments on the draft byelaw in writing to the addresses below. Click here to download a copy of the draft Byelaw 3. The deadline for stakeholder input is Wednesday 1 May 2019.